February 07, 2019, 6:00 p.m. The revelation that two men – one in blackface and one in a Ku Klux Klan hood and robe – appeared in Virginia Governor Ralph Northam’s medical school yearbook half-page has brought calls for his resignation. That’s a call that most Americans in the latest Economist/YouGov Poll – black and white – endorse. Only one in four haven’t heard much about the charge. Those who have heard a lot about Virginia’s Democratic Governor want him to resign by nearly two to one (52% to 27%). While Democrats want him to leave office by more than two to one, Republicans aren’t so sure. A plurality of Republicans don’t think he needs to submit his resignation. Northam’s actions have made Americans confront the use of blackface again. The Virginia Governor has now denied that he is one of the men in the yearbook picture but admitted that in 1984 he darkened his face to imitate Michael Jackson. Blackface is not acceptable to most Americans. However, some groups are more accepting than others. 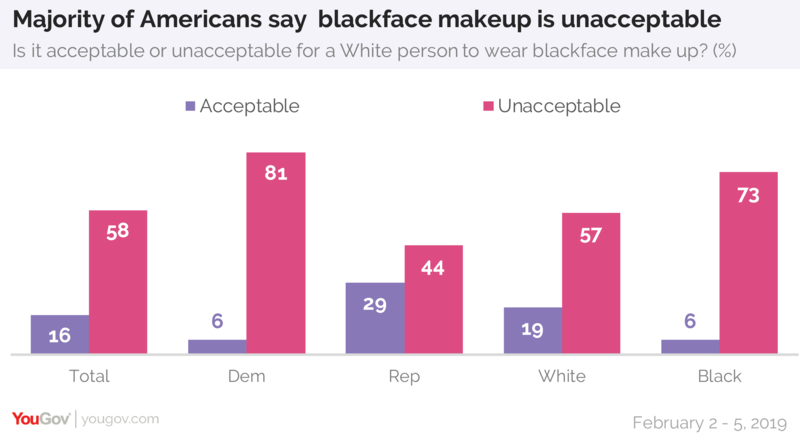 Republicans are more likely than those identifying as Democrats or independents to say that a white person using blackface makeup is acceptable. That explains much of the difference between Republicans and Democrats on the question of a Northam resignation. 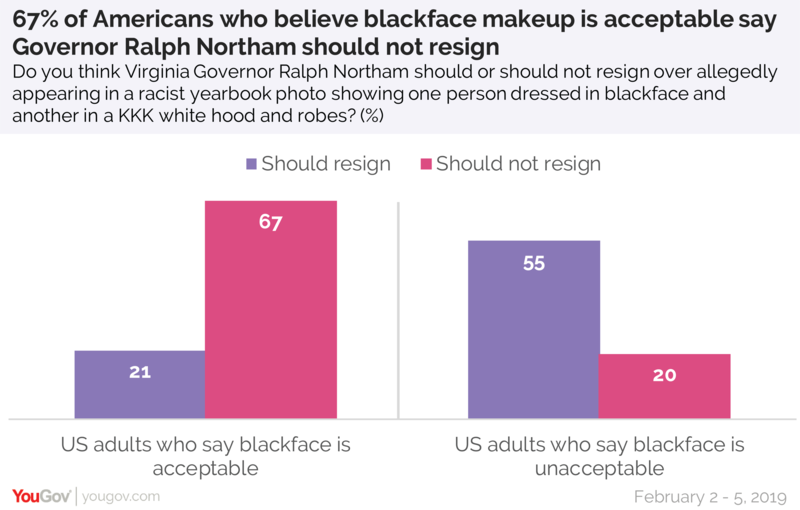 Overall, 55% of those who find blackface unacceptable want Northam to resign. Two-thirds of those who say it is acceptable think he should stay. Among both Republicans and independents, two-thirds or more who find blackface acceptable think Northam should remain in office. 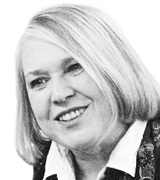 There are too few Democrats who find blackface acceptable to analyze. This situation, perhaps including his unwillingness this far to resign, has made Northam an unpopular politician. Three times as many people have an unfavorable as a favorable view of him. And he gets no support from his own party’s identifiers – just 12% of Democrats have a favorable view of him while 31% see him unfavorably.